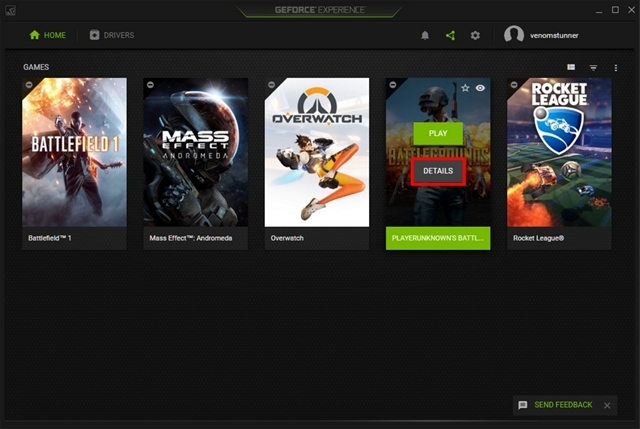 Note: In order to take advantage of this feature, you need to have NVIDIA GeForce Experience version 3.8 or later installed on your system. Additionally, you need to install and download the newest PUBG patch that was released on August 21, 2017. 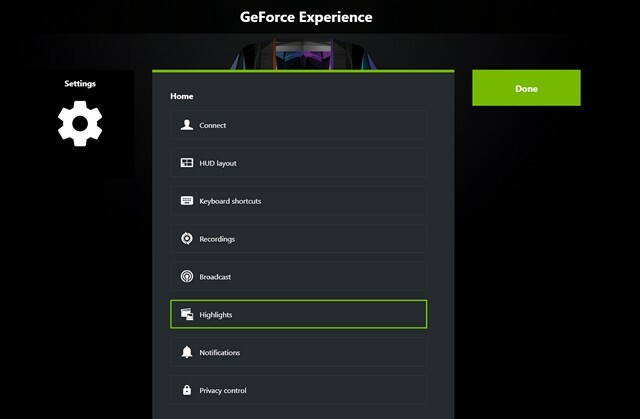 You will be able to bring up the GeForce Experience Overlay by clicking on “Alt + Z”. Once it shows up, go to Settings by clicking on the “gear-shaped icon”. Now, click on “Highlights” in order to get inside the next menu. 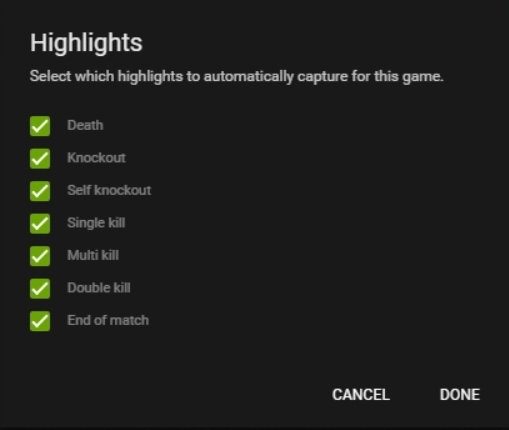 Here, you’ll be able to turn on Highlights by simply clicking on “Yes”. You can also adjust the maximum disk space that’ll be used by this feature for storing your content. We’re not quite done yet. You need to open up the game and go to the in-game settings by clicking on the “gear-shaped icon” that’s located at the top-right corner of your screen when you’re in the lobby. 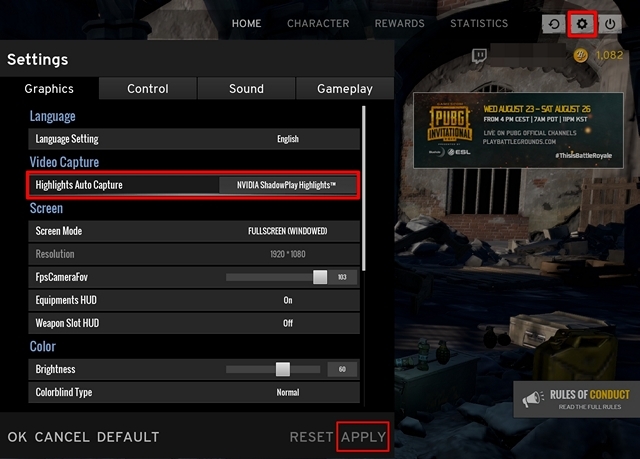 Now, head over to the Graphics section and here, you’ll be able to enable “NVIDIA ShadowPlay Highlights” for Highlights Auto Capture setting. Once selected, click on Apply to save the settings. Now, you need to start the game as you normally would, and once you’re in the match lobby, i.e. 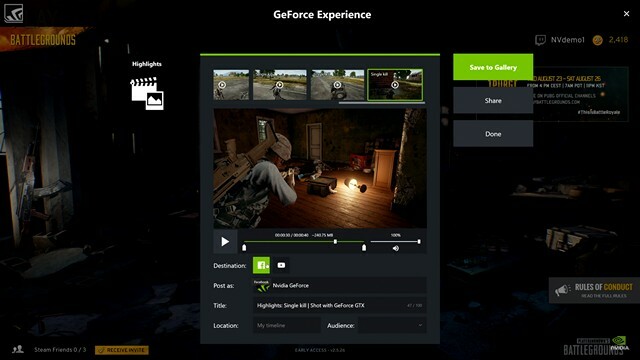 the spawn island, a message will pop-up on your screen which asks you whether you’d like to use GeForce Experience to automatically capture the highlights of your gameplay. Click on “Yes” to confirm. Well, now once you’ve completed the match and exited to lobby, the GeForce Experience Overlay will immediately display all the important clips from your previous match. You can either choose to save them to your Gallery or share it to social networking platforms like Facebook and YouTube. 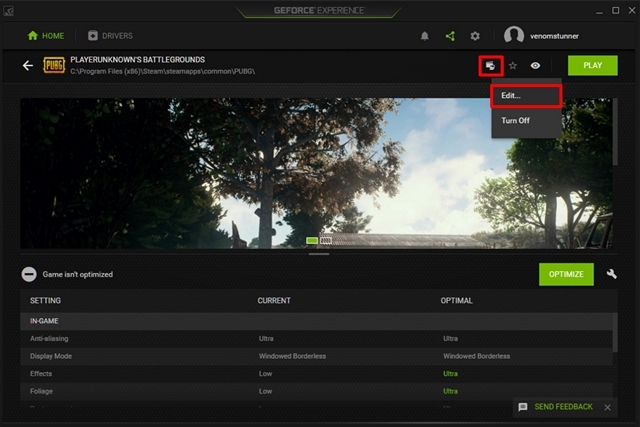 Open up NVIDIA GeForce Experience software and hover your mouse over PlayerUnknown’s Battlegrounds game. Now, click on “Details”. Once you’re in the next menu, click on the ShadowPlay Highlights icon, which is indicated by a film reel. Now, click on “Edit”. Well, that’s pretty much the whole process. 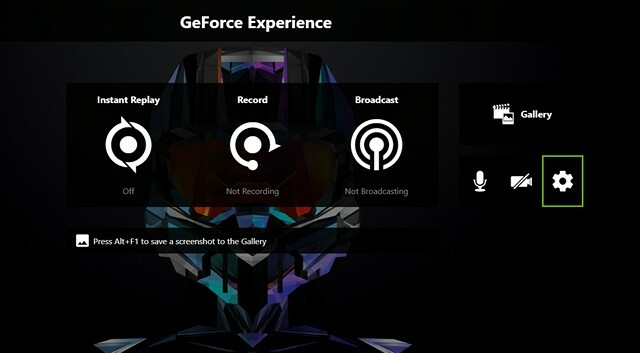 Here, you’ll be able to check and un-check the highlights that will be automatically captured by ShadowPlay Highlights. Once you’ve chosen the necessary options, click on “Done” to save these settings. Enjoying ShadowPlay Highlights in PUBG? 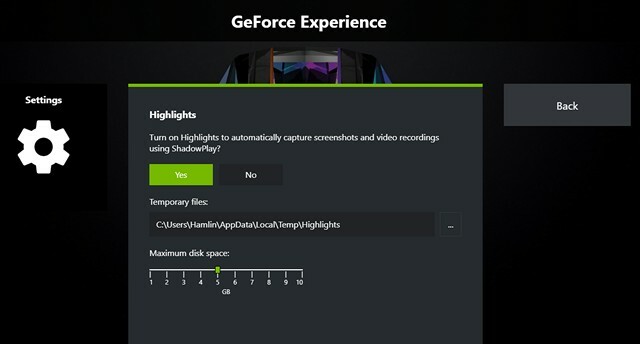 NVIDIA’s ShadowPlay Highlights is a feature that’s never seen before in any video game capture software. This is pretty much a dream for any gamer who has been playing this popular game, as manually recording and removing the unnecessary portions take a lot of time. We hope to see this feature being expanded to many other games as well. So, have you guys tried out the new ShadowPlay Highlights on PUBG? Tell us how much you’ve enjoyed using this feature, by shooting your valuable opinions in the comments section down below.